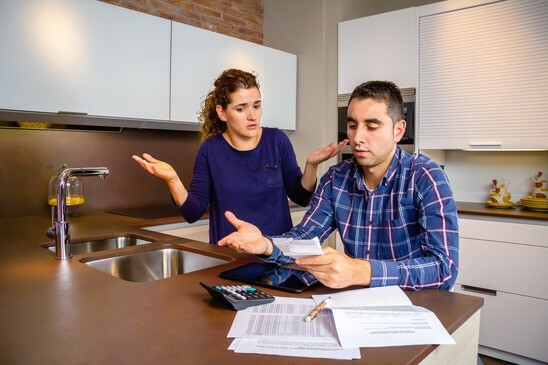 As tax deadlines approach, the anxiety and frustration from going through the numbers can make or break a small business owner’s day. I find that many entrepreneurs don’t have a system outside of a shoebox of receipts and stack of papers, or just went with an accounting software that they hear the most about, which is usually QuickBooks. However, not understanding and finding the right tool for your small business needs can lead to avoidance, gaps, and tax implications. 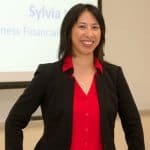 As a small business finance coach, I get asked what accounting software solutions are the best so here are my thoughts on the decision-making process. Use it incorrectly and need to spend money having a bookkeeper or accountant fix it and set-it up correctly. Hire someone else to do it for you, spending hundreds to thousands of dollars each month and year. For aspiring entrepreneurs, using a spreadsheet is perfectly acceptable when starting out. Don’t overcomplicate things and assume that you must get QuickBooks. I checked with two CPAs and both confirmed that an Excel spreadsheet with all the correct numbers to create a Profit and Loss Statement was perfectly fine for most small business owners, especially when they are starting out and there aren’t a lot of transactions per month. Also, QuickBooks is great for those who have inventory, but if you are a service-based business, this is probably more robust and complicated than you need. Business Expenses – When you import expenses from your bank accounts and credit cards, it will attempt to categorize the expenses to make it easy for tax reporting, but will mark expenses “uncategorized” for items that it doesn’t recognize. If it’s a recurring expense, you can update the category and select to have Freshbooks “Remember this category for similar expenses” in the future. Ideally, the software will recognize the expense in the future and automatically categorize it correctly to minimize your time reconciling expenses in the future. Customer Service – I have called customer service at least five times and have been pleasantly surprised that someone has always answered within two rings! How many companies have you ever called and customer support immediately answers without making you go through several telephone prompts? The exceptional customer service, especially if you’ve experienced long wait times with other accounting software companies, may be enough to make you switch. Profit and Loss Statement – This is the one of the most important statement that you need to send to your CPA to complete your small business taxes. If you are creating and sending invoices to clients through Freshbooks, collecting payments online and correctly marking paid if you received cash/check, and managing expenses with correctly assigned categories, then you have all the data needed to populate a Profit and Loss Statement (P&L) within seconds, and make tax season a non-event. Generate P&L: Go to Reports, Select Profit and Loss (P&L), and a P&L Statement is instantly generated on the screen. Send P&L to CPA: You can choose to export the P&L data or print a report to send to your CPA to finalize taxes. Inventory – I like how Xero has a tracked inventory feature to monitor unit price, sales price, starting inventory, and quantity on hand (aka remaining after sales). However, it does not do negative inventory, so you won’t be able to use this feature if you sell goods before you’ve purchased them. Real-life example: I recently had to go through and figure out the sales tax owed on books that I sold at in-person events for my first quarterly tax payment on merchandise. It was the first time that I’ve ever had to track and manage inventory (as opposed to service through financial coaching), and it was a giant mess on Excel. It took me several days to figure out how I wanted to best track and calculate sales tax collected versus owed, cost of goods sold, sales price, and number of books remaining. I would definitely recommend self-published authors to consider using Xero! Budget Manager – You can create multiple budgets by choosing to view actuals and forecasting your sales and expenses over a selected period of 3 months, 6 months, 12 months, or 24 months. This is a great feature that allows business owners to project their Profit & Loss based on real data and prior performance, and determine if they need to make any adjustments to become profitable and manage a positive cash flow. Cash Summary – Given that many small businesses fail due to a lack of cash, I like this reporting feature. You can select to include or exclude sales tax, viewing your opening balance, net cash, and closing balance for the month. Separate tax account – I highly recommend all small businesses to have a dedicated bank account for managing taxes versus the main checking account for paying operating expenses to ensure money collected for taxes is not overspent! In summary, I don’t think one tool has it all to win best accounting software for all small businesses. However, I do think that FreshBooks and Xero are worth a strong consideration. I personally use FreshBooks, but really like Xero’s features as highlighted. 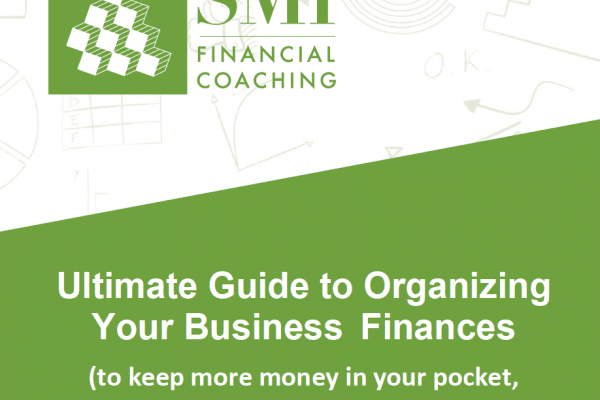 Consider what type of business you have, what products or services you offer, and what areas are going to be critical to have insight to determine your short-term and long-term financial success, including profit, cash flow, expenses, and inventory. Pick FreshBooks or Xero for a free trial and enter several transactions to see how you like the features and if you find the tool intuitive. Quarterly and annual taxes don’t have to be time-consuming and stressful when you have the right tool for your business. *Limited Time Offer: FreshBooks is offering a flash sale of 50% off for 6 months for new users who purchase by Wednesday, December 5th at 11:59pm EST. I’d love to hear your pros and cons for the accounting software that you use for your small business. Or, if you don’t have one, let me know if these highlighted features helped you decide. Previous Post Three Surprising Reasons You Need Private Disability Policy Next Post What Should I Do With Tax Refunds? Very nice blog for accounting, but in my experience Xero and Freshbook is costly for vendor of small business owner. Recently i joined http://www.easyaccountax.co.uk/ free trail for running my small business accounting. software have many easy and unique feature for run complete accounting solution for small business. Thanks for reading and sharing your comments, Niles! I’ll have to check out the tool that you mentioned. 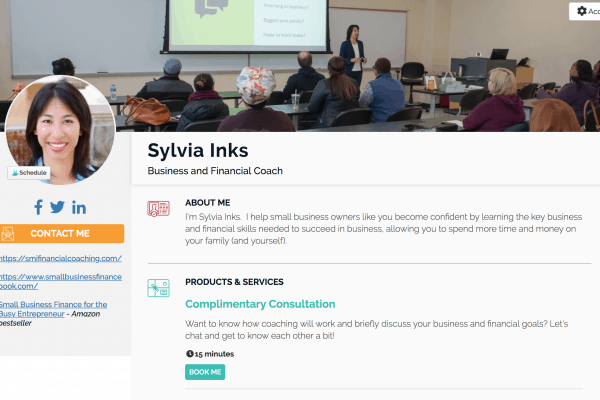 I find there are lots of great tools being created all the time to help small business owners. However, I have found that many of the free or cheaper tools do not have the level of security or protect ownership of material that I’m comfortable with. I always recommend that small business owners read the terms and conditions first before signing up. An accounting software is nothing but a type of application software that records and processes accounting transactions within some functional modules. It functions as an accounting information system of the business organization. Your blog gives idea about freshbooks, xero and also about quickbooks. These are nothing but different types of accounting software having some unique features in their own filed. But here I want to deliver some of the benefits of using accounting software in small business in the following. 1)It makes bank reconciliation simple. 2)It allows the availability of formalized financial statements. 3)It is less time consuming and provides results with more accuracy. 4)It requires less inputs and also cost effective in nature. So, on a final note I can say that, it is a good idea to use accounting software in small business which saves a lot of time of business owner by which he is able to give more focus on business growth. Thanks Ian for reading and providing your thoughts! I absolutely agree with you on the benefits you mention, especially #3 about time and accuracy. Since many small business owners struggle with time management, having an accounting tool can save time and allow owners to focus on the actual business. Thank you. Nice share, I have been using this ms excel tool where I been doing Bookeeping and accounting. It is easy to use. To Download https://www.excel-accounting-budget-analysis.com It is simple and easy to use. 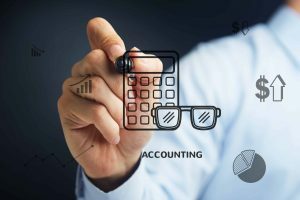 a great informative post you shared on this page about professional accounting for small business, I read this post and remember the best points especially ” The Taxman Is Calling ” you shared in this article which help me for running a business successfully with the help of professional accounting .If you want to start a business successfully then you must read this article carefully and keep it in your mind all the best points of a great article which help you to running a business successfully with the professional accountant . A great informative post you shared on this page about best professional accounting Software for running a successful business .If you want to start a business successfully then you must read this article carefully and keep it in your mind all the best points of a great article which help you to running a business successfully after applying a professional accounting softwares . Very nice information.Thank you to share this. Very Nice Article … Thanks for sharing such a great article. But i want share I views also, first I agreed with Nils N Peter… Xerox is costly for small businessman. I recently used Mytask.co, and I Think this the best tool. It include Billing, invoice, task and project management all in one. Very Nice … amazing article thanks for sharing. Accounting software is the best thing to records all your accounting transactions within some functional modules. I think these are the best accounting tools that you shared over here for your business. Thanks for sharing these tools.